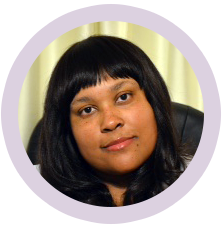 Dr. Jeri Yvonne Williams, MD was born in New York City, NY and raised in southern California. She obtained her bachelor of arts degree in Biology from the prestigious Williams College in Williamstown, Massachusetts with a concentration in neuroscience and English literature. Dr. Williams’ sense of adventure and desire to work with the underserved propelled her to attend the American University of the Caribbean School of Medicine for the basic sciences portion of her medical education. The clinical portion of her medical school training took place in New York and California USA. She completed her internship at University of South Dakota School of Medicine and her Neurology residency at UMDNJ-Robert Wood Johnson School of Medicine where she served as chief resident. She spent two years in an intensive movement disorders fellowship at University of Alabama at Birmingham, to learn from great leaders in the field such as Ray Watts, David Standaert, Barton Guthrie, and Erwin Montgomery. Her current research and clinical interests are in the areas of Dystonia, as well as Parkinson’s Disease and Parkinson’s Plus Syndromes, especially Progressive Supranuclear Palsy.